How do I use Eduroam, the wireless network, in Windows? 175. 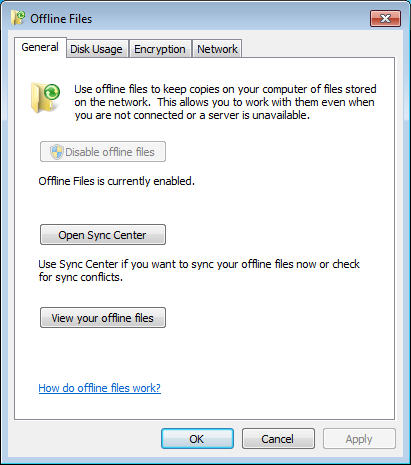 How do I use offline files? See also: How do I change Windows offline files disk usage? 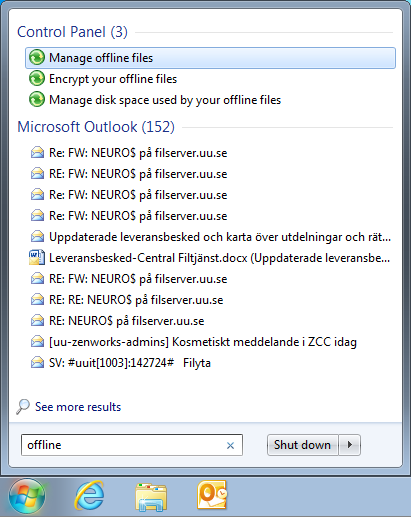 Short story: It lets you always have access to your files even when not connected to the file server at the Uppsala University network. Long story: Windows has a feature for making files on a file server available offline even when the connection to the file server is lost. The client stores the files in a offline cache. Changes in the file when offline is stored locally. When the computer or server is back online the data is synced to the server. This works well on files a single user changes but not so well on shared folders where different users make changes on the same files. New computers installed and maintained by BMC-IT has offline files already enabled. In the start-menu, type offline to find and start Enable offline files On this computer the administrator (BMC-IT) has already activated it. 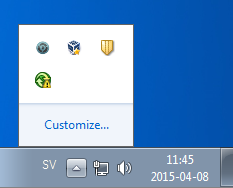 In the Offline Files window, click on Enable offline files. 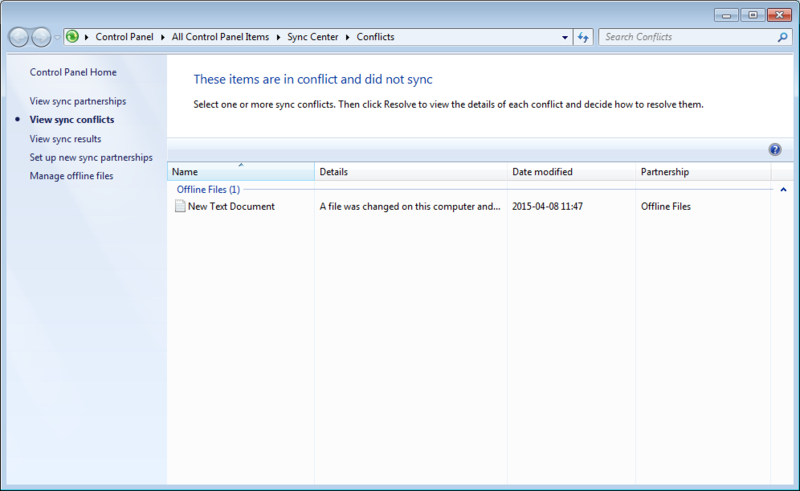 The default settings make the folder redirected folders always available offline. This includes Desktop, My documents, AppData etc. For normal use when all data is saved in these locations. 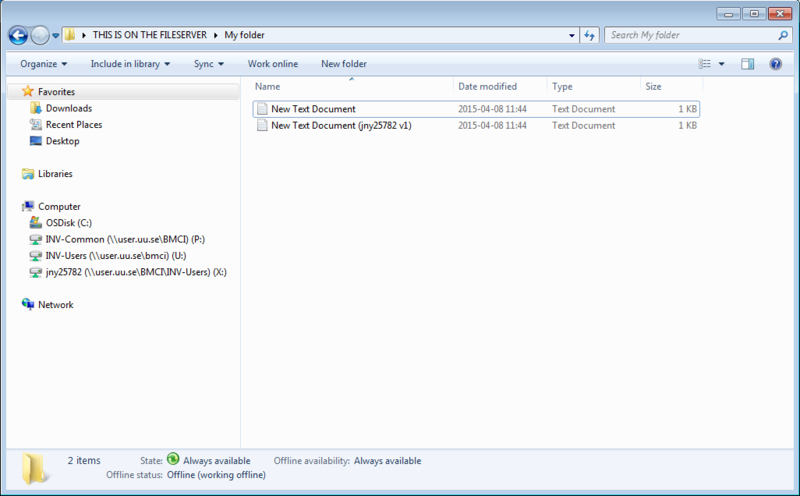 It is possible to get other folders in the home directory available offline. 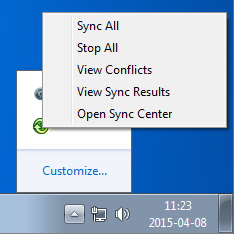 In Explorer, right click on a folder or file and then choose Always available offline. The shared folders with other users should not be used with offline files. It is technically possible but may lead to conflicts. 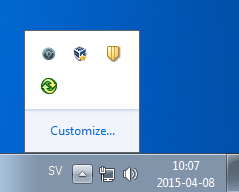 In the window Offline files (see above) choose the button View your offline files. Here is a representation of all files available offline. Enter the different directories to see what has been picked up. 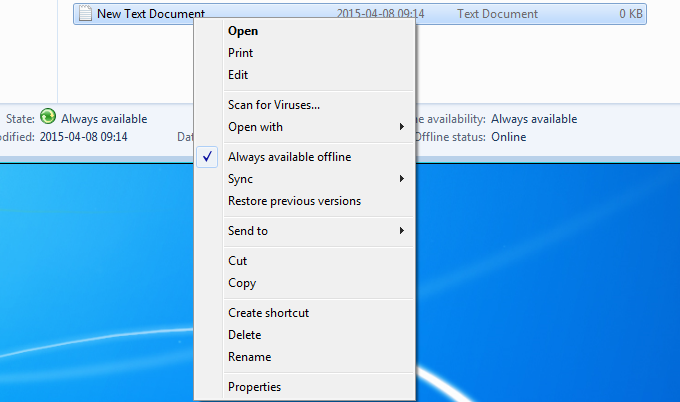 Open the task bar notification window for offline files. It looks like a green recycle circle. 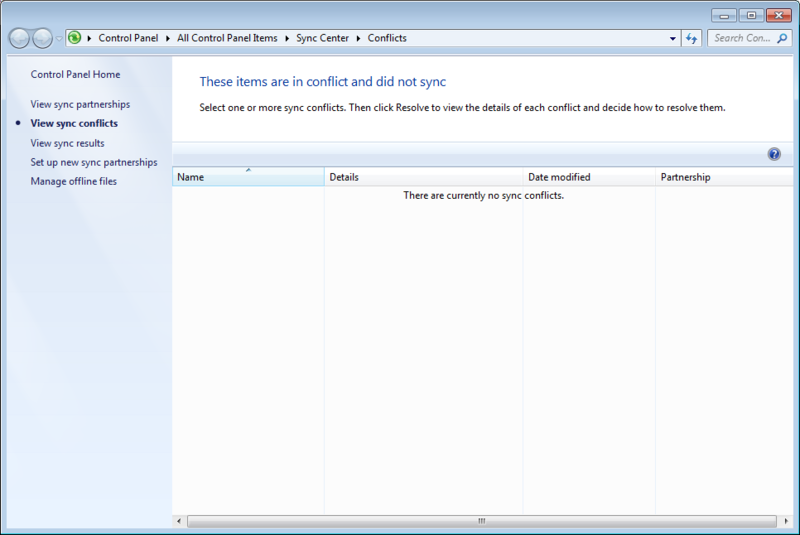 Conflicts and how to handle them! However, we can provoke a conflikt. 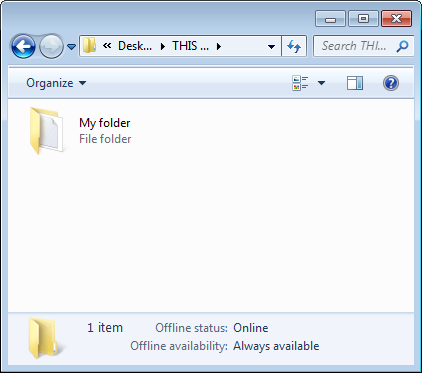 Go offline by pressing Work offline in the file explorer. Change a file on your computer. 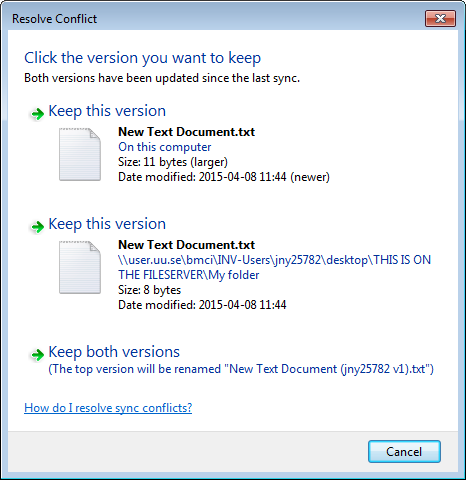 Change the same file on another computer. Then Work online again on your computer.